Use the Weston Knife Set to remove all silver skin from your elk roast; fat is okay. Place the roast into a large Weston Vacuum Sealer bag. Mix together all remaining ingredients, then pour into the Vacuum Sealer Bag. Seal your bag by placing a folded paper towel into the bag, holding the bag below the sealer, pulsing the vacuum until the liquid gets close to the paper towel, then pressing seal. Be sure to keep all liquids out of the sealing chamber. 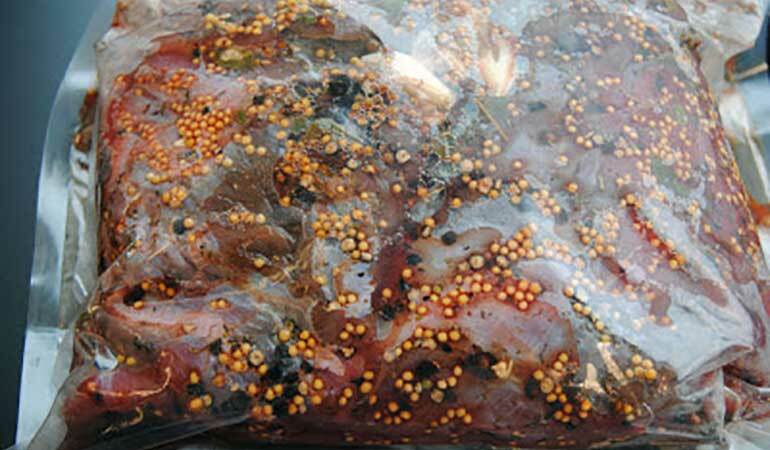 Place in the refrigerator for 3-5 days. After your elk meat is finished brining, thoroughly rinse the roast with cold water over a Roma Stainless Steel Colander for five minutes, to remove excess salt. Place the roast into a large pot, big enough to hold it, then cover it with water completely. Thoroughly rinse the ingredients left over in the colander. Drop these leftover seasonings into the pot with the meat. Bring to a boil. Turn the heat to low and allow it to simmer, covered for three hours. After three hours, take the corned elk venison out, and set it on a plate to rest for 30 minutes. 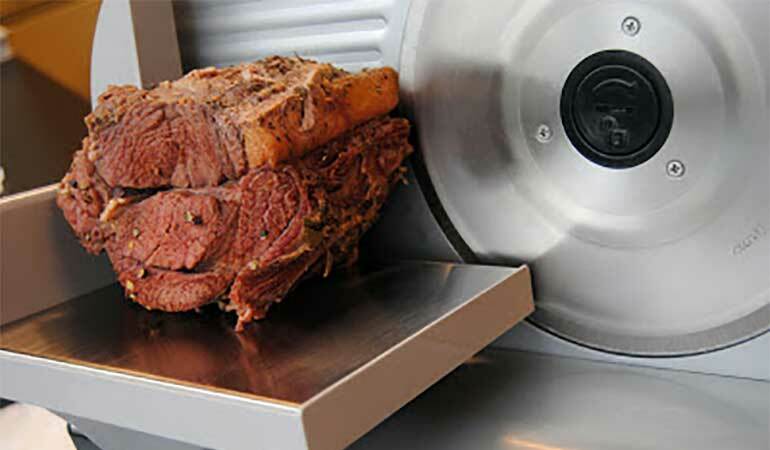 Using a Weston Meat Slicer, slice the meat. 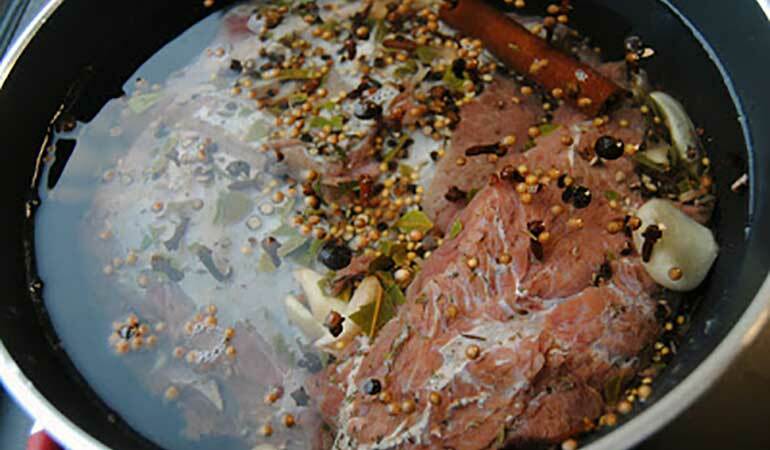 Serve the corned elk venison just as you would corned beef. We served ours between two slices of Jewish Rye with sauerkraut, thousand island dressing, horseradish mustard, and Swiss - with a homemade pickle on the side. For more Weston recipes, visit WestonProducts.com.